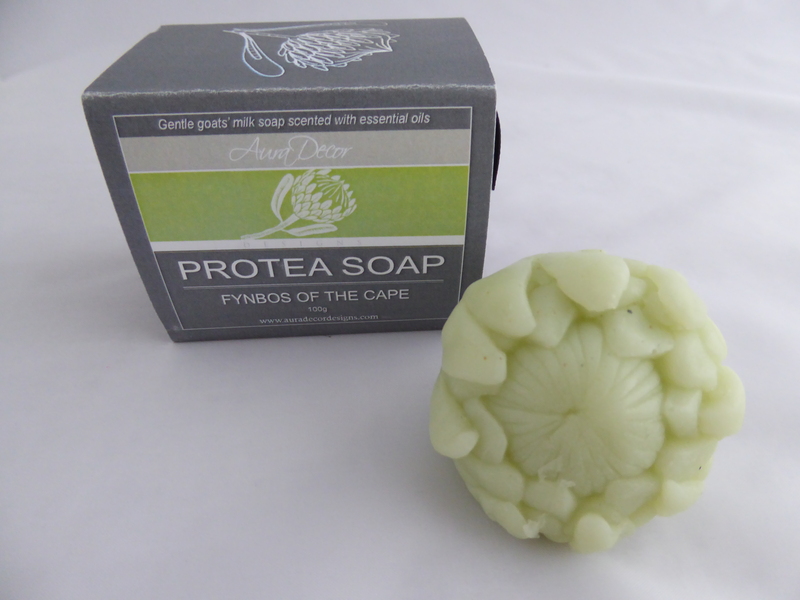 Protea shaped Goats Milk soap fragranced with essential oils. 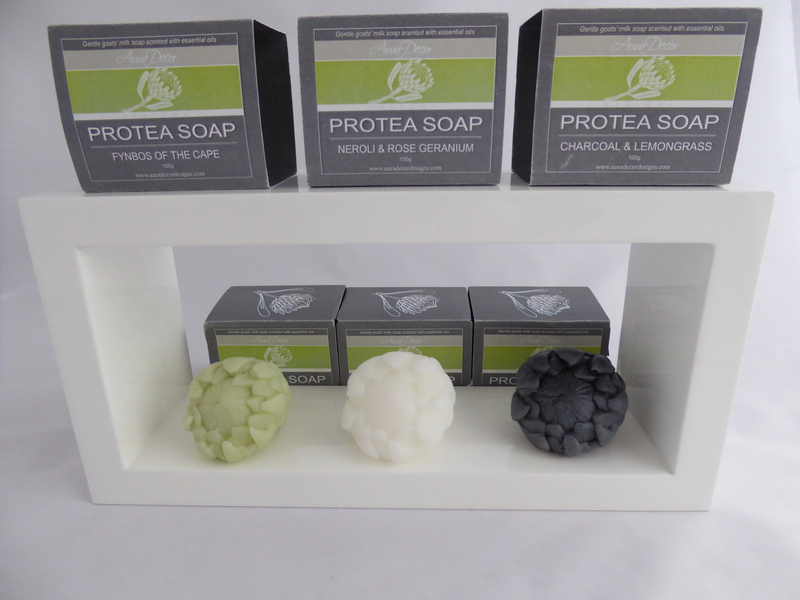 These soaps are handmade in South Africa especially for AuraDecor Designs. Each soap bar is 100g. 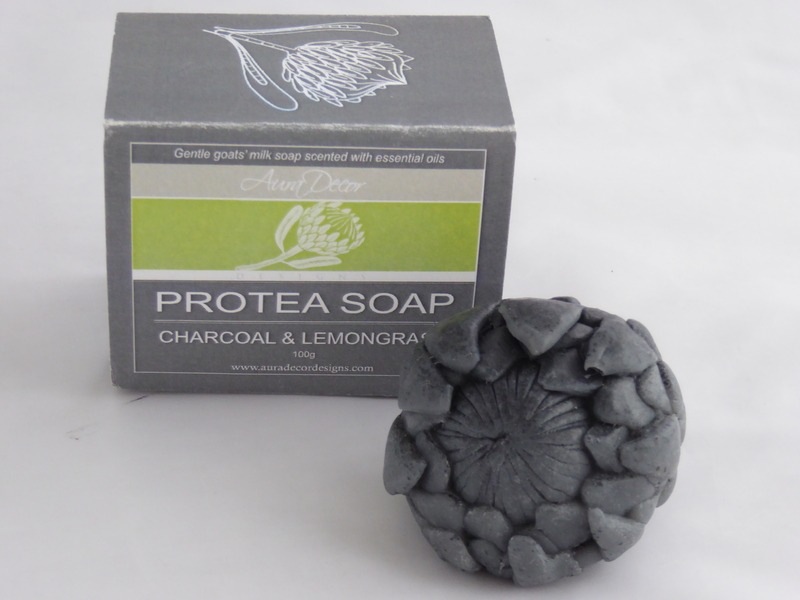 Protea is both the botanical name and the English common name of a South African flowering plant, sometimes also called sugarbushes. In local tradition, the Protea flower represents change and hope. These beautifully sculptured protea shaped soaps smell as good as they look and are a perfect gift for the soap collector. 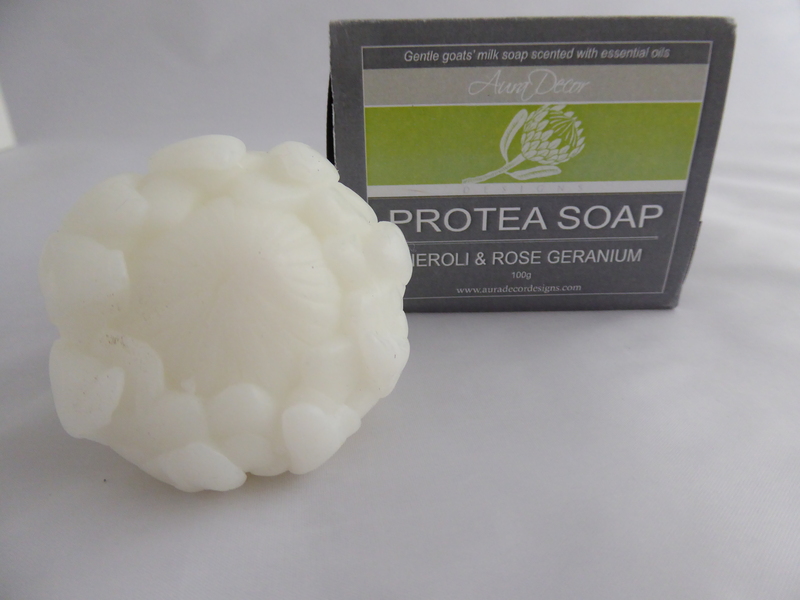 Also available in our soap gift range is the essential oil Soap Cake Slice.